Arsenal beat Southampton 2-0 at the Emirates this afternoon to move up to fourth in the Premier League table. We started well and opened the scoring early on as an Alexandre Lacazette backheel made it 1-0 before Henrikh Mkhitaryan doubled our lead to make it 2-0 in the 17th minute. Arsenal squandered a number of chances to further increase our lead with Lacazette and Pierre-Emerick Auabmeyang among those who failed to make the most of our dominance but we eased to a 2-0 win. Leno 8/10 | Made a crucial save to deny Redmond at 0-0 and another smart stop to keep it at 1-0. Maintained the clean sheet with a great save late on. Excellent display. Lichtsteiner 6/10 | Was having another solid game before limping off early in the second half. Sokratis 7/10 | Battled well against Austin and put himself on the line to protect the clean sheet. Great to have him back in the side. Mustafi 6.5/10 | Got caught out by Redmond early on but overall a decent game from the German defender. Kolasinac 7.5/10 | A big outlet down the left. Played a superb pass to set-up Lacazette for a golden chance late in the first half. Also made a big block to deny Ward-Prowse a goal in the second half. Torreira 7/10 | Worked hard to get about the Southampton midfield and kept things neat and tidy when in possession. Xhaka 7.5/10 | With the exception of a poor pass early in the second half, he ran the show for much of the game and stretched the visitors with some lovely passing – particularly in the first half. Mkhitaryan 8/10 | Got the assist for the first goal and made it 2-0 with a well placed finish. Always dangerous on the ball. One of his best performances of the season. Ramsey 6/10 | A few nice touches and linked up well at times but always seemed to be on the fringes of the game. Wasn’t really involved enough to make a real difference. Iwobi 7.5/10 | Another impressive display. 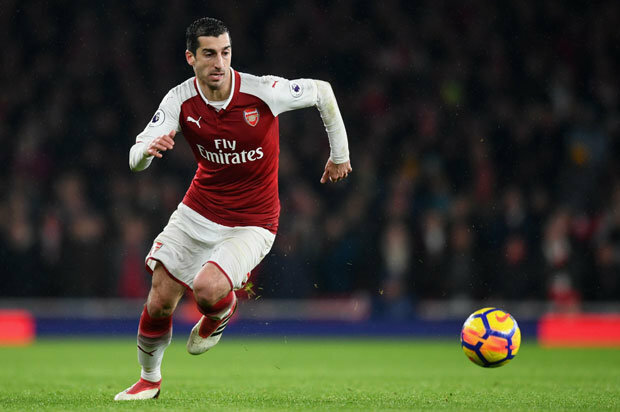 Set up Mkhitaryan for his goal and was positive going forward. Subbed late on with what looked like a calf problem. Lacazette 7.5/10 | Clever goal to open the scoring and was always a threat. Should have got a second when he blazed over from close range before also firing straight at the keeper when well placed. Koscielny 6/10 | Comfortable after replacing Lichtsteiner. Ozil 6.5/10 | Saw plenty of the ball after replacing Ramsey. One stunning flick sent Aubameyang clear late on. Aubameyang 6/10 | Went close to forcing a third goal near the end after being sent clear by Ozil and saw a goal-bound shot blocked a minute later. Good impact.